The kitchen is a vital room at every home. The kitchen design needs to be planned well, to keep in mind various elements like equipping the kitchen by the proper and healthy furnishing, dividing the element well inside the kitchen; the storage area where you place the cabinets, drawers and the refrigerator for storing the foods, then the cooking area and the last one the food preparation’s area where you will install your worktop. In this article, we will concern with the worktop and what to choose to keep your kitchen healthy, cozy and decorative as well. There are a lot of kitchen worktops materials like wood, stone, tile and glass, with variety of colors and styles to fit any decor and design. If you have tight budget you may go for tiles or solid top. 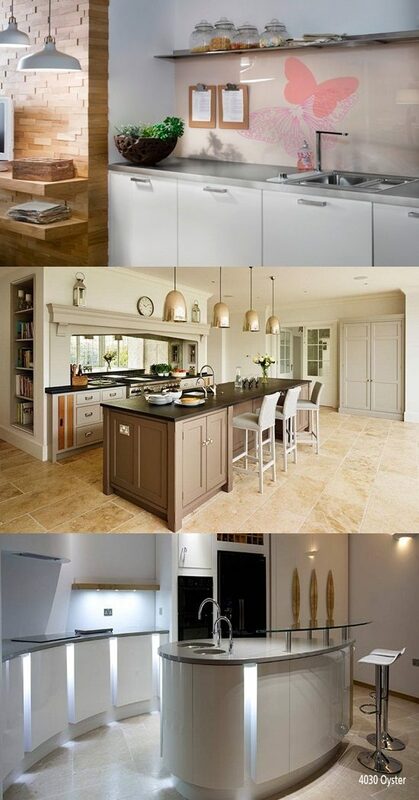 But if you need a beautiful, hard wearing and cost-effective worktop, you may prefer the ceramic tile tops. These ceramic tiles are heat-resistant, scratch proof, water-resistant besides they are affordable too. Plus they come with wide range of colors, textures and designs. So they could be ideal choice for many people. If you look for unique, attractive and healthy worktop, you may choose granite worktop. The granite worktops are characterized by its unique beautiful appearance, there is no two pieces of granite are ever the same. The granite as a natural stone has also different shades of colors. Plus it is tough and resilient, that means it is durable and lasts for a long time. So the granite worktops are considered as a best investment in the kitchen. One of the popular worktops also is the quartz one as solid worktops which combine with durability, versatility and good visual appearance. Moreover it is affordable as well. One of the best advantages of the quartz worktop is that it gathers between functionality and attractive style. Another alternative of the solid worktops available on the market are Corian worktops which provide wide range of advantages; durability versatility, good visual appearance plus the variety of designs and colors than any other solid worktops. So they are charming and practical as well.